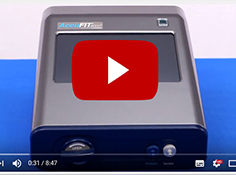 Designed with all respirator users in mind, the AccuFIT9000™ Quantitative Respirator Fit Tester is the smart choice for your respiratory fit testing requirements. 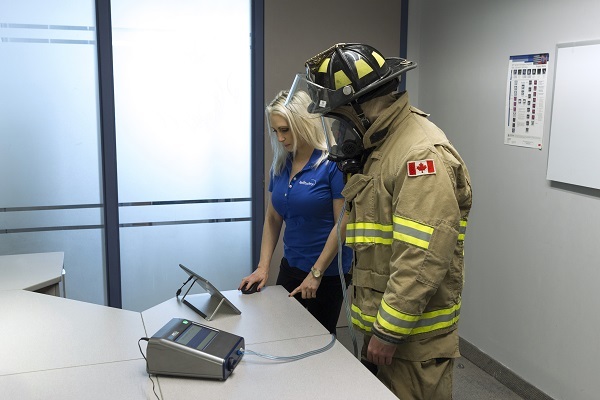 The AccuFIT9000™ is an ideal solution for industrial, first responder, and healthcare respirator users who are looking for one product that can address all of their fit testing needs in an affordable way. The AccuFIT9000™ Quantitative Respirator Fit Tester uses just one testing mode for both N95 filtering facepieces and tight-fitting respirators. Since there’s no need to switch between modes for different respirators, you’ll save time and increase efficiency. 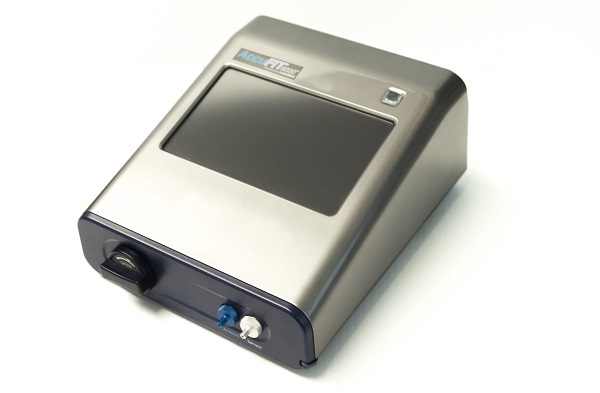 The AccuFIT9000™ Quantitative Respirator Fit Tester is a completely standalone unit that does not require a PC connectivity to function. Simply turn the unit on, perform your tests, and that’s it! Your results will be stored on a convenient memory stick and can be transferred to a computer at your convenience, eliminating the need to transport unnecessary equipment when conducting tests at multiple locations. 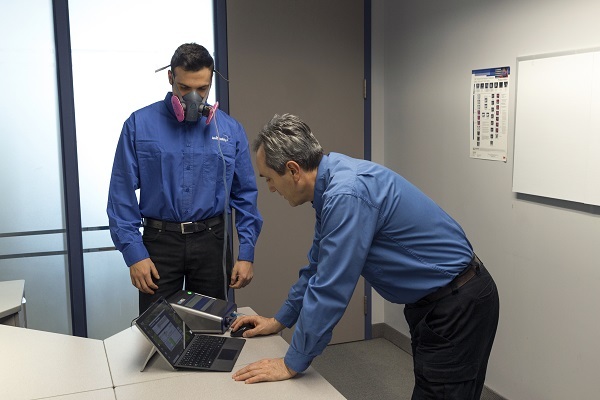 Fully adaptable for elastomeric and disposable respirators, the AccuFIT9000™ Quantitative Respirator Fit Tester features proven CNC fit testing technology and conforms to CSAZ94.4 -11 testing standards. 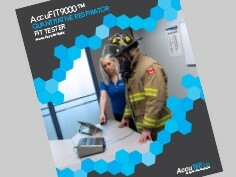 The AccuFIT9000™ Quantitative Respirator Fit Tester performs all fit tests within 3.5 minutes (half the time of other fit test instruments), allowing you to efficiently perform more tests in a shorter amount of time. 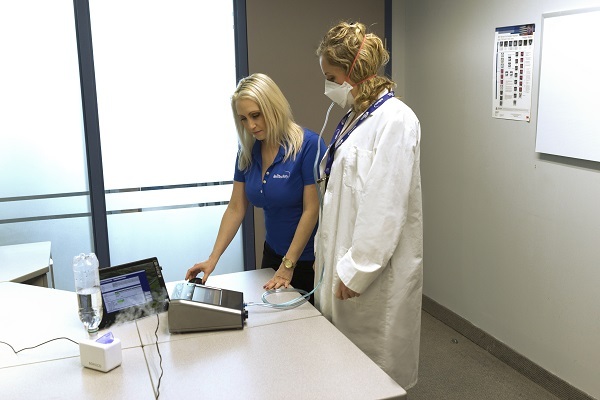 The AccuFIT9000™ Quantitative Respirator Fit Tester offers two operating modes for more convenient testing – regardless of location – all displayed on a 7” colour touchscreen. When operated in standalone mode, the AccuFIT9000™ requires absolutely no PC connectivity. All test results are conveniently stored on the unit’s memory stick, which can be transferred to a computer when you’re ready. 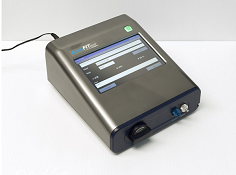 When connected to a PC, the AccuFIT9000™ will automatically download and store all test results to your computer. There’s even an extra USB port for direct connection to your printer or keyboard! 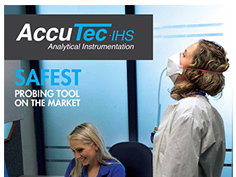 The AccuFIT9000™ Quantitative Respirator Fit Tester is available with software in four languages – English, French, Portuguese, and Spanish.